Buthale Area Co-operative Enterprise is the newest I4H Farmer Co-op beneficiary. Buthale ACE is located 45 minutes from a major trading centre, deep in a remote river valley in the foothills of the Rwenzori Mountains of western Uganda, very near the border with D.R. Congo. The village of Buthale has power (unreliable), but the surrounding area does not. Buthale ACE grows mainly coffee. The members are enthusiastically interested in improving the living conditions for their families, and in providing learning opportunities for their children to thrive in the 21st century. 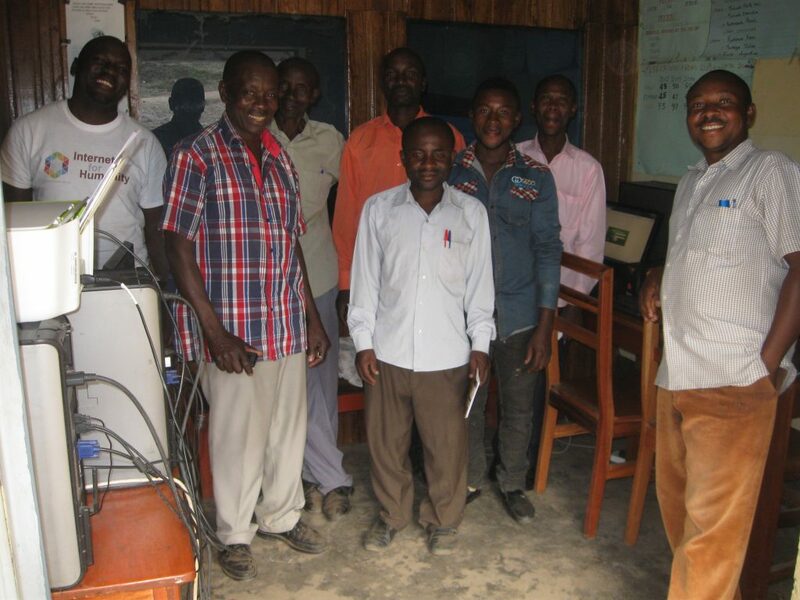 The photo shows Tabula (left) and Buthale ACE staff and farmer-members at Buthale ACE office, where computer-literacy classes, as well as internet-access services, are provided for their members and the community at large.